The BBC report through gritted teeth! And the Northumbria University team believes it will be able to answer with high confidence: "There was none." "It all fits together; it’s a very compelling piece of work," says Prof Gudmundsson. 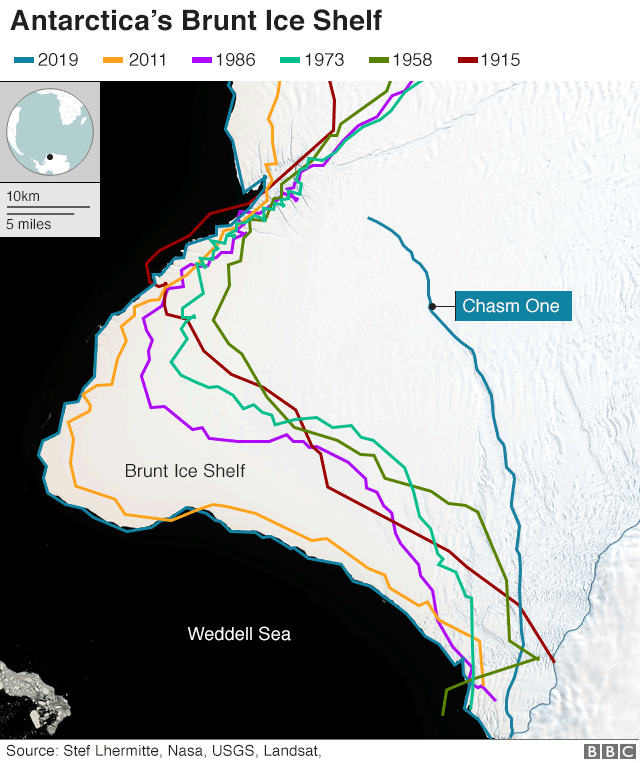 "It shows that the chasm started to grow because of the stresses building up, and they built up because of the natural growth of the ice shelf. The ice shelf itself created this chasm." 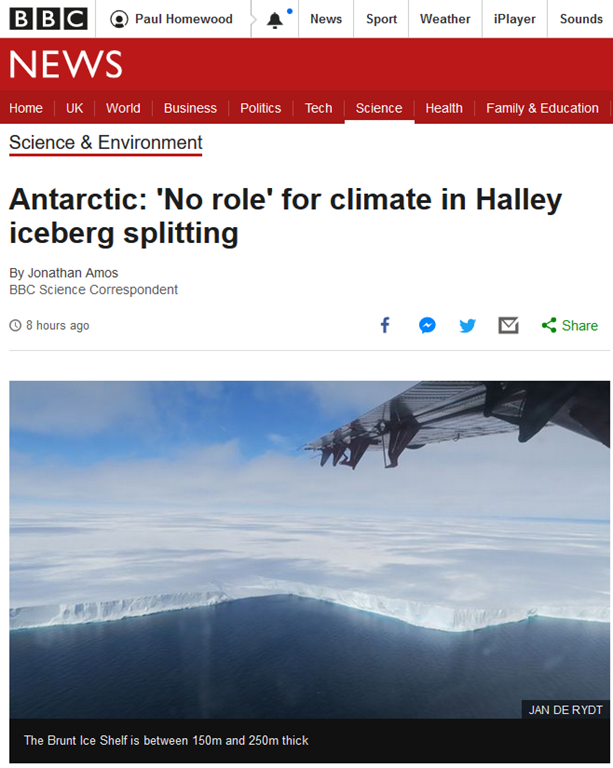 "There is no indication from oceanographic or atmospheric data that the climate is changing in the Brunt area," Dr De Rydt told BBC News. "Our ocean observations are limited but whatever we have doesn’t indicate anything unusual; and our model shows that what we are seeing can be perfectly explained by natural changes in the geometry of the ice shelf." The comparison with Shackleton’s mapping in 1915 is an interesting one, worth remembering when we get nagged about “melting ice caps”. But there should really be little surprise about any of this. It is the way icebergs have always formed. The idea that glaciers flow down to the sea, but somehow never break off is infantile.